CapitalStackers is authorised and regulated by the FCA. Investment through CapitalStackers involves lending to property developers and investors. Your capital is at risk. Investments through this and other peer to peer lending platforms are not covered by the Financial Services Compensation Scheme. Unless otherwise stated, returns quoted are annualised and gross of tax. A new development in Yorkshire could net you up to 17% return from a minimum investment of £5,000. CapitalStackers is inviting crowdfunding loans to help launch a development of 11 homes along with the purchase of additional land with detailed planning permission for a further 11 houses in a popular location. Dacre Banks is an English village in the Yorkshire Dales, with the archetypal features of a cricket green, a popular pub, traditional shop and church, plus the added boon of a medical centre. Homes tend to be highly sought after in this Area of Outstanding Natural Beauty set amid stunning moorland scenery and a tapestry of lush green meadows – just 11 miles from Harrogate and easily commutable from Leeds. Furthermore, historic planning restrictions and a shortage of new build properties have created a healthy build-up of demand. Gregory Property Group, very experienced developers operating since 1985, have created a scheme with broad appeal – a selection of 2, 3 & 4 bedroom houses (including 5 ìaffordableî homes – two available in the first phase), designed to attract a diverse mix of young professionals, families and older downsizers lured by rural village life, and commuters to Leeds and Harrogate. The houses will sell for between £249,950 and £375,000 (although sales agents have advised that prices may be 5% higher) with a total value for the 11 homes in Phase 1 assessed at £2,794,000 and the whole development at £3,858,584. Senior funding of £2,340,000 has been secured from Hampshire Bank Trust, so CapitalStackers investors are invited to fill the balance of £504,000, in loans of £5,000 upwards, for returns of between 12.65% and 17.18% for a Loan to Value range of 65% to 73%. Two large, luxury houses in Solihull stand to make a tidy sum for CapitalStackers investors. The crowdfunded development – already 58% subscribed – has attracted a lot of attention from existing CapitalStackers investors, many of whom have already made up to 22.5% last year on the platform’s Foss Place development in York, which paid out early after only 8 months with a Loan-To-Value ratio of 76%. The Solihull deal comes in with an even more attractive risk ratio of just 67% LTV for a return of 12.59%, and 51.9% LTV returning 10.02%, with the senior funding being provided by Natwest (who have, of course, already carried out their usual due diligence checks). 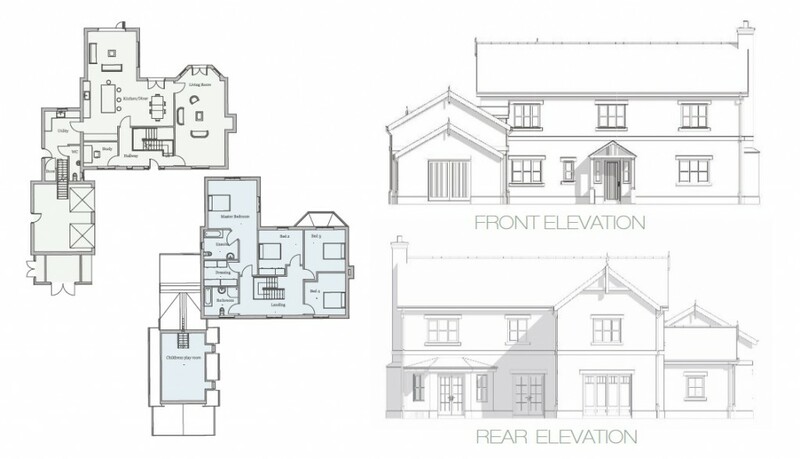 The development of these two highly-appointed 5-bedroom homes in the sought-after residential area of Lapworth comes courtesy of the experienced Avalanche Capital team, and has already received unsolicited offers from two keen buyers. The groundworks are already complete and building is due to be finished in October this year, at which point investors will be paid back capital and interest. Investments are invited in the form of a loan, fully secured on the properties, and investors are free to choose the level of risk and return. The minimum investment is £5000 and the CapitalStackers platform is fully authorised and regulated by the FCA. Just take a few minutes to set up your account and we’ll expedite you through the regulatory Know Your Customer process. You can then view full deal details online. If you need any further explanation or help with bidding, just call Steve Robson on 0161 979 0812. Click here to find out more and get started. We look forward to welcoming you on board. 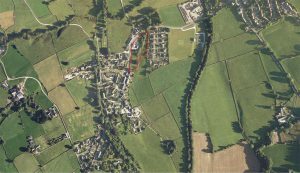 CapitalStackers has completed the drawdown of £1.36 million funding for a prestigious development of eight homes, in the pretty Cheshire village of Malpas. Work is expected to start on site later this month and two properties are already under offer at the asking price. The P2P property lending specialist also successfully negotiated £1.58 million of senior funding from a major high street bank, on behalf of the developer Orchard House. The gross development value of the scheme is £5.1 million. CapitalStackers’ investors now look forward to returns of between 10.7% and 15.6% per annum over the next 22 months with lending at Loan to Value ratios from 55% to 73%. Steve Robson of CapitalStackers comments, “Investors were invited, at the back end of last year, to lend into three layers and choose their own level of risk and return. Many are repeat investors, some of whom benefited from returns of up to 22.5% last year on an office to residential conversion we financed in York, however some are new investors, keen to dip their toe into the P2P property lending market. The Orchard House development is only a short walk from the 18th century market town of Malpas, Cheshire – a friendly village community within commuting distance of Chester and Wrexham and close to the Ofsted outstanding Bishop Heber High School. A number of listed buildings dotted around the immediate area (including the Grade 1 Church of Saint Oswald), lend the site a rare traditional charm. And since the developer has in-house design capability, each of the homes can be partially bespoke to the purchaser’s requirements, which has sparked early interest from buyers with plots already being reserved off-plan. CapitalStackers investment opportunities appeal to a broad spectrum of investors, from conservatively positioned pension funds to those with a higher risk-and-reward appetite. The minimum investment is £5,000. P2P lending platform CapitalStackers has been awarded full FCA authorisation, following a detailed assessment by the FCA. CapitalStackers is a direct peer to peer lender, matching developers seeking finance with investors. The company aims to plug the funding gap between typical bank debt and the developer’s equity. Investors typically receive double digit returns up to 20%. Steve Robson, Managing Director of CapitalStackers comments, “We have always had a strong commitment to compliance, abiding by strict codes of conduct and giving our investors total transparency on every deal. Becoming an FCA approved lender is a lengthy and rigorous process and gives investors that extra comfort – it is the icing on the cake. We understand that a number of other P2P lenders withdrew their applications when they realised what was involved, which makes our approval status even more significant. “At CapitalStackers, we only arrange loans to experienced developers, many of whom have already raised part of the funding requirement through a major high street bank and gone through their independent due diligence process, as well as our own stringent checks. No investment is without risk, but ours are carefully assessed, managed, and transparent. 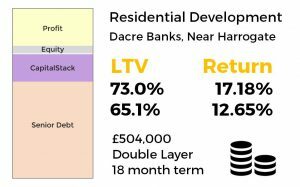 CapitalStackers is now inviting investors to participate in a prestigious development of eight highly desirable detached houses in a deal which is expected to yield up to 17% annualised returns with attractive LTV ratios. Click here to download a fact sheet. The development is only a short walk from the 18th century market town of Malpas, Cheshire – a friendly village community within commuting distance of Chester and Wrexham, and close to the Ofsted outstanding Bishop Heber High School..
A number of listed buildings dotted around the immediate area (including the Grade 1 Church of Saint Oswald), lend the site a rare traditional charm. And since the developer has in-house design capability, each of the homes can be partially bespoke to the purchaser’s requirements which has sparked early interest from buyers with plots already being reserved off-plan. The Gross Development Value of the scheme is £5.1m, with Royal Bank of Scotland providing the senior funding of £1.58m. This leaves plenty of room for CapitalStackers investors in this triple layer deal, with target returns pegged at between 10.3% and 16.9% per annum over an anticipated investment term of 22 months and with corresponding Loan to Value ratios of 55% to 73%. CapitalStackers investors will be secured by second charge behind RBS on the development site supplemented by a first charge on some additional property. The development will naturally appeal to a broad spectrum of investors, from conservatively positioned pension funds to those with a higher risk-and-reward appetite, so early involvement is recommended. The minimum investment is £5,000. For more details, visit www.orchardhouseproperties.co.uk or watch the Orchard House Properties 3D Video here. The Oakapple Group – a Leeds development company – has begun converting the former 4 star Balmoral Hotel in Harrogate into 14 luxury apartments, with the help of funding raised by P2P lending platform CapitalStackers. The 1 2,500 sq ft landmark Victorian building on Franklin Mount is being sensitively converted into one and two bedroom elegant apartments ranging from 600 to 1300 sq ft. Completion is scheduled for September 2017 and residents will enjoy on-site parking and original architectural features. The property was built around 1890 as three Victorian villas, converted into a guest house in 1981 and became the Balmoral Hotel in 1984. Oakapple received planning consent in June 2016. For the developer, the funding solution allowed more effective use of equity. CapitalStackers introduced the senior debt from Hampshire Trust Bank of circa £2.3m and raised the additional £515,000 required within a week of posting the deal. The developer anticipates selling for in excess of £4m. Steve Robson of CapitalStackers comments, “We are delighted to be playing a significant role in the sensitive conversion of such an imposing and historical building within the centre of Harrogate. Investors will look forward to receiving returns pegged at between 11% to 15.5% per annum within the next 14 months”. CapitalStackers matches investors direct with developers seeking finance on specific projects. The company aims to plug the funding gap between typical bank debt and the developer’s equity. Investors typically receive double digit returns up to 20%. If you were going to invest your life savings, your pension, your inheritance, you’d want to know it was relatively safe wouldn’t you? Before you took the plunge, you would hope to weigh up the balance of risk versus return and make an educated and informed decision about where and with whom you invest? Do you play safe and potentially get a lower return or do you take a higher risk and reap the financial benefits faster? This concept isn’t new of course – for centuries, people have taken perceived risks with their money. Some have struck gold, others have had their fingers burnt. And most have harvested returns somewhere in between! In 2016, how do you make an informed choice and how important is transparency in this process? We at CapitalStackers believe it is more important now than it has ever been. Investors are becoming more and more sophisticated and quite rightly, they demand transparency, whether investing £5,000 or £1 million. Technology has also had a huge impact on the way people invest. Investors have direct and easy access to investor platforms and they should also have direct and easy access to any information necessary to weigh up risk and return. No matter how much you wish to invest, with whom or how experienced you are, transparency allows you to make a properly informed choice. P2P lending and alternative finance companies are revolutionising the traditional banking and lending industries. According to the FCA, £2.7bn was invested on regulated crowdfunding platforms in 2015, up from £500m in 2013. But with change, often comes competition and uncertainty. Over the last few months there have been widespread calls for tougher regulation and control. Concerns predominantly focus on whether consumers understand the risk they are taking, especially those who are less experienced or knowledgeable. There is also some confusion over the differences between the ‘pooled’ lending approach and direct peer-to-peer lending such as that arranged by CapitalStackers. With pooled lending, investors are provided with only part of the picture such as headline risk parameters and no detailed financial information about any of the borrowers or the deals. The upside is that risk is often spread across the loan whole portfolio, but investors are entirely dependent on the platform’s management. Direct lending such as that arranged by CapitalStackers means absolute transparency and decision making independent of the platform management. Investors choose both the deal and the loan amount – and they have access to detailed information on the specific risk and returns. Recent press headlines airing concerns with the alternative investment sector, such as those made by Lord Turner, are only a generalisation and don’t reflect the diversity within the P2P market. There is a vast difference between investing in a tech start-up through an equity crowdfunding platform and secured lending against bricks and mortar, for example. At CapitalStackers, we only arrange loans to experienced developers, many of whom have already raised part of the funding requirement through a mainstream bank and gone through their independent due diligence process, as well as our own stringent checks. No investment is without risk, but those made through CapitalStackers are carefully analysed, managed and transparent. We have always been open to scrutiny and detailed information is provided to our investors up front providing the same level of clarity on the deal as the bank and the developer have in assessing its viability. This transparency is the foundation upon which CapitalStackers is based and the reason why our investors continue to re-invest. This week we gave our investors a serious cause to celebrate when our residential development in York was completed two months ahead of schedule. Which means the shrewdness of all sixteen P2P investors paid off as they got their investment back within just 8 months and received returns of up to 22.5% per annum. All the apartments at Foss Place, Foss Island Road in York had already been pre-sold during construction by developer Norstar Limited and the majority of investors, who lent between £5,000 and £1.73 million to the project, have re-invested into another CapitalStackers funded scheme, a residential conversion in the centre of Harrogate. CapitalStackers’ offering is becoming increasingly popular with astute P2P investors – the entire funding for Foss Place was completed in just 14 days from CapitalStackers’ engagement to the full loan being drawn down. The company now has in excess of 100 investors on its books and rising – and it’s easy to see why. The idea is to plug the funding gap between typical bank debt and the developer’s equity – and it’s a win-win deal. Developers get access to the funding that dried up since the banks retrenched and it’s a great way for a wide range of investors to get involved with bigger commercial building projects, from housing to offices – schemes that would otherwise be out of the smaller investor’s reach (except through REITs or unit trusts, which would not allow them the same control over their investment). CapitalStackers not only gives investors the choice of the development project they help fund but also lets them choose the risk level and associated return. Total financial transparency is maintained and typical returns are between 5% and 20% per annum paid out on completion of the project – usually around 12-24 months later. The minimum lend is just £5,000, and all loans are fully secured on the property being funded, with the extra benefit of high quality due diligence. The Foss Place project is just another great example of the idea in action. CapitalStackers raised £2.25m loan monies to help Norstar Limited purchase and convert a disused office building into 6 studio and 18 one-bed apartments, with a predicted gross development value of £3.2 million and peak loan to value ratio of 76% including interest. On completion, the development sold out for £3.4m equating to an improved loan-to-value ratio of 71%. The apartments were priced between £99,000 and £120,000. Steve Robson of CapitalStackers comments, “We’re delighted to give our investors annualised returns of between 8.5% and 22.5% in just eight months, two months ahead of schedule. We arranged three layers of finance to Norstar: Layer 1 being £1.75m of senior debt; Layer 2 provided £350,000; and Layer 3 a further £150,000, at returns of 8.5%, 15% and 22.5% per annum respectively”. So for any investors looking for a more appealing investment opportunity, CapitalStackers has surely come of age. There are a number of exciting projects in the pipeline with similar attractive risk and reward profiles. The minimum investment is £5,000 and there’s no upper limit. So why not register now and give your funds a boost over the next 12-24 months? Press enquiries: Cath Cookson, 07799 713941 or Simon Sinclair 07769 684843. Find out more at www.capitalstackers.com or by calling Steve Robson on 07774 718947. Investment through CapitalStackers involves lending to property developers and investors. Your capital is at risk. Investments through this and other peer to peer lending platforms are not covered by the Financial Services Compensation Scheme. Will Buy-To-Let Work For You? Try our useful free Excel tool to calculate how much you might make from investing in property. Is Buy-To-Let the ideal investment for you? Is it as good as it used to be? For the past few years, the BTL sector has been booming, propelled by an annual 5.6% rise in property values, with yields at 5% to 6% and base rates at a record low of 0.5%. It’s been good business for banks, too, with the market now accounting for 15% of all UK mortgages. But fuelled by concerns that the resultant property boom might spiral and flip over into a bust cycle, the Chancellor and the Bank of England have headed off prospective landlords in a pincer movement that sees stamp duty on investment properties increase by 3% and new stress tests for BTL mortgages that raise the bar significantly for borrowing landlords. In addition, the recent reduction in Capital Gains Tax pointedly excluded landlords – meaning that they’ll now pay 8% more tax than other investors on any increase in the value of their assets. Landlords say “It won’t affect us”. Still, it has to be said that most BTL investors remain unmoved by this perceived persecution. A recent YouGov poll of 1,000 landlords (commissioned by Aldermore Bank) suggested that more than half expected it to have no effect on them whatsoever. And of course, for the majority, it won’t. 87% profess no intention of buying any more properties, and among those who are actively building a property portfolio (assuming they’re sensibly viewing them as long-term investments), even the pain of the extra stamp duty will be assuaged when spread over a decade or two. Nevertheless, while 70% expected the number of tenants to rise over the next 5 years, a third felt the value of the BTL market would fall in the next 12 months. So how much can you realistically expect to make? All of which suggests that, while BTL will remain a valued part of the investment portfolio for years to come, newcomers to the market should take a very prudent long term view of their own prospects. To this end, we felt it might be helpful to create this useful free Excel BTL Calculator to help you project what a BTL investment could earn you in a variety of circumstances. It allows you to project best and worst case scenarios, play with the variables and paint yourself a very clear picture of how things will likely pan out. Let’s say you have £100,000 to invest into a modest flat costing you perhaps £275,000, and generating a gross yield of, say, 6%. Immediately you will be out of pocket by almost £15,700 having shelled out for stamp duty, legal fees and mortgage costs. After mortgage interest (let’s assume you secure a mortgage at 2.99%) and other costs (don’t forget to budget for void periods), your net income would be £4,598 – giving you a net yield of 4.6%, all of which is clawing back your upfront costs over the first three and a half years. Taking into account selling costs and assuming no capital growth, you would lose money if you sold before four and a half years were up. Of course, this is only an example. Feel free to put in your own numbers and test different scenarios. For instance, you could extrapolate scenarios like the property lying vacant for a couple of months, increasing or reducing the capital growth rate – or you could see how it would look if you decided to bypass an agent and do a lot of the management work yourself, if you have the time. You might also like to see what impact the Bank of England’s new stress tests might have. The example shows that a hike in rates to 5.5% would only leave you slightly underwater but any other additional costs, such as a longer void, would require you to put your hand deeper into your pocket. The calculator allows you to plot out all these eventualities and draw your own conclusions – so play around with it and see how BTL works for you. If you decide BTL isn’t right for you at the moment, but you still want the comfort of property backed investment, it’s worth considering Peer to Peer property lending. Since the banks tightened up, property developers typically find themselves with a piece of land, perhaps 20% equity of their own and a promise from a bank to lend 50-60% of their project cost. In between those two figures, there’s a golden gap that needs filling – and it’s being increasingly filled by peer-to-peer investors. www.capitalstackers.com, for instance, works with banks and developers to fill this funding gap, giving investors the option to choose different developments – from office blocks to housing developments – and different risk and reward profiles. Instead of sinking your £100,000 into a single property and taking on the headache of managing it yourself (or at least managing the agent), you could spread your cash across several different ones. You can even lend against residential property through your pension fund and get the returns tax free. How much could you make from P2P property lending? The returns you get can vary from 5% for a let investment property to figures in the high teens if you lend on a development and where you have an appetite for a higher return against a higher risk (up to around 75% of the property value). If this seems a strikingly large return for an investment, consider the experience of CapitalStackers investors who are currently lending against a residential development in York. Those with the lowest risk (less than 60% of the property value) are earning 8.5% which compares favourably with the example in the BTL Calculator irrespective of the differing risk profiles. Investors taking the most risk, sitting at 76% of value, are earning in excess of 20%. Since the developers have already sunk cash equity into the project which will make a profit, the investors benefit from a fairly deep cushion against possible downturns. Their returns take into account the fact that the property securing their lending is a development which at the time they committed had yet to be built out and sold (which, at the time of writing, it is and has). The developers take care of the whole process and will be making quite a tidy sum from it themselves, so they’re more than happy to reward those plugging the gap that the banks used to fill. Okay, so you might forego any capital uplift from owning the property outright but you are also well shielded from capital depreciation by the borrower’s equity and profit margin. Essentially, it’s possible to make better returns for a lower and better spread of risk with someone else looking after your interests. What’s more, you don’t have to tie up your cash for so long and nor do you need to take on a mortgage. CapitalStackers – the P2P property development lending platform – has raised a £2.25m loan to fund the purchase and development of a 24-unit residential block in York. The entire funding was completed in just 14 days from engagement to the full loan being raised, and the development by Norstar Limited is projected to have a Gross Development Value of £3.2m. Investor returns are pegged at between 8.5% and 23% p.a. CapitalStackers allows a wide range of investors to get involved with large commercial building projects, from housing to offices– schemes that would otherwise be out of their reach except through REITs or unit trusts. The idea is to plug the funding gap between typical bank debt and the developer’s equity. CapitalStackers invites P2P investors to take a stake at a risk and reward level they choose, with typical returns of between 5% and 20% p.a. on completion of the project, around 12-24 months later. With the minimum investment being just £5,000 fully secured on the property being funded and on the back of high quality due diligence, this is proving to be a very popular investment vehicle. 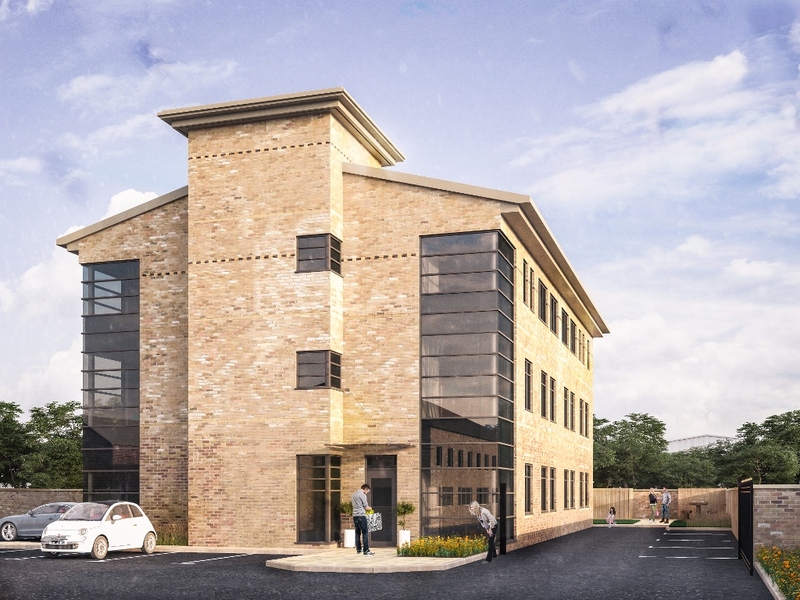 This is the latest in a string of new projects funded by CapitalStackers, who are currently inviting investment in an exciting new residential development in Birmingham. The loan sought is £1.9m and returns will be between 7.7% and 17.2% p.a. over a 15 month term. The development address is: Foss Place, Foss Islands Road, York, YO31 7UJ. We asked our investors what they thought of the FCA’s latest proposals to protect them. This is what they said. – CapitalStackers Blog on What will the FCA’s P2P shake-up proposals mean for CapitalStackers investors?